Patients are often nervous about their dental care check up or appointment, but here at Quality Dental Care, we don’t believe this should be the case. This is why we offer sedation dentistry services at our Omaha, NE office, to help relax our patients and put their minds at ease before the procedure begins. You should consult with your Quality Dental Care dentist to decide which type of sedation is best for your sedation dentistry needs. The best sedative for you will vary depending on the procedure and needs of the patient. Relaxation- The most obvious benefit of sedation dentistry is the ability to relax nervous and anxious patients. By administering a sedative before the procedure, the patient is not conscious during the operation and is much more relaxed. If you suffer from dental anxiety or general anxiety, you may want to mention sedation dental options with your dentist prior to your appointment. Less Appointments- If you are in need of some serious dental work, sedation dentistry can help cut down the number of appointments. With sedation dentistry, complicated dental needs that require multiple appointments to complete can be completed in only one appointment. This will help save you time and money by reducing the number of appointments needed to correct the problem. Less Pain- Because the patient is unconscious during the procedure in sedation dentistry, there is less initial pain. The patient will not fidget or move around during sedation dentistry either, making the dentist’s job easier and faster. There is less of a chance that the patient will move and cause the dentist to cause unintentional harm to the patient’s mouth. 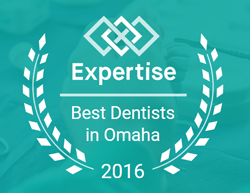 If you are interested in any of our sedation dentistry services or any of the other services we offer at Quality Dental Care in Omaha, NE you can contact us here or by calling 402.431.8844 to schedule an appointment.